We return to Asia in a big way in 2019 with an all-new, all-gay cruise from Hong Kong to Tokyo. In 10 magical nights, you’ll explore four of the world’s most vibrant cities, discover Japan’s most thrilling sights, and immerse yourself in fascinating cultural experiences. Onboard the magnificent Norwegian Jewel, you’ll sail in style on one of the most popular ships we’ve ever sailed! It’s truly a once in a lifetime experience for 2300 guests from all corners of the planet. There literally has never been a cruise quite like this! Beyond Your Imagination. 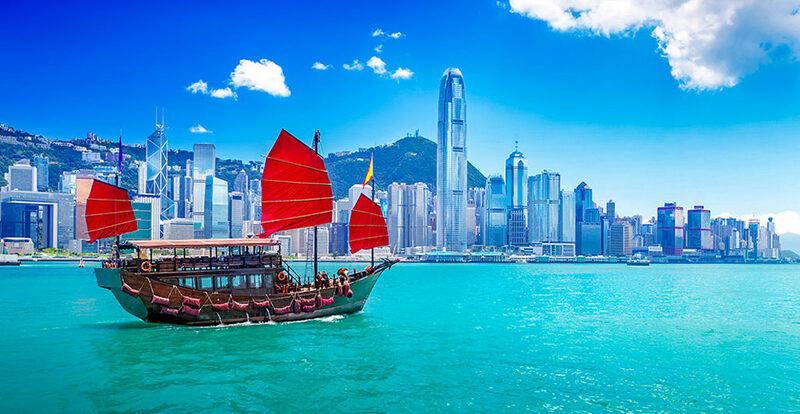 Set sail in a new direction with our custom itinerary between two of the world’s most iconic cities – Hong Kong and Tokyo – both wonders on their own and the perfect endpoints to an extraordinary experience. There’s no better place to begin than in the legendary port of Hong Kong, a truly unique city of endless wonder, diversity, and sheer innovation. From the skyscrapers towering over the harbor, to densely packed streets lined with alluring shops, to endless mouthwatering temptations, this gleaming city sets the stage for a stunning adventure yet to come. One Magnificent Ship. You’ll sail with 2300 friends from around the world on the stunning Norwegian Jewel for the ultimate cruise through Asia. Fresh from a multi-million-dollar upgrade, Jewel features a fantastic spacious central pool deck, with incredible open spaces for dancing under the sun and stars. You’ll love her innovative modern look, enticing restaurants, full-service spa, and spectacular performance venues. 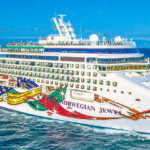 We know you’ll love the incredible variety of exciting venues and wonderful options onboard the Norwegian Jewel, fresh from a multi-million-dollar bow-to-stern upgrade. In so many ways, she’s the perfect ship for the Atlantis Hong Kong to Tokyo Cruise. So Many Places to Play! It’s hard to tell which onboard space best represents Jewel — they all seem to hint at an amazing experience. Spinnaker Lounge hosts the best comedy shows, our original cabaret performances, a little drag karaoke and even some late, late night dance parties. The two-story Stardust Theater boasts the perfect setting for Atlantis’ signature entertainers and Norwegian’s awesome production shows. Pull up a chair at Shaker’s Martini & Cocktail Bar as talented piano entertainers take you on a musical journey. Try your luck in the casino or meet friends in our nine inviting bars and lounges. There’s something for every taste and style onboard. Chill out, unwind, and relax in Jewel’s two sparkling pools, six hot tubs, and countless sun lounges. There’s even a water slide for the kid in all of us. Pick up a game of volleyball on the outdoor court. Or let our talented team pamper you in the Mandara Spa. Of course, there’s plenty to keep you active at Body Waves Fitness center, featuring the latest equipment and invigorating classes. Delicious, Fun, Special, and Never Formal. With 16 dining options, including a sushi bar, teppanyaki grill, tapas and churrascaria, there’s always something new to try on Jewel! From the inviting Azura and Tsar’s Palace main restaurants to the expansive Garden Café, you’ll always find a variety of tempting delights to satisfy you. As with all Atlantis cruises, there’s never a dress code or assigned tables, so you can dine whenever you choose. Our team is always there to help you find a table with friends. Dine on American classics at O’Sheehan’s, grab a poolside snack at the Sky High Bar & Grill. Looking for something casual? Garden Café is open almost 24 hours a day, featuring full breakfast and lunch buffets, plus casual dinner alternatives and a late-night service specially designed for Atlantis. And Sky High poolside grill offers up a variety of delights under the beautiful pacific sunshine. Of course, the real fun begins at our six incredible specialty restaurants – perfect for a romantic night out or celebration with friends. You’ll find everything from Moderno, an authentic Brazilian steakhouse, to Chin Chin’s Teppenyaki rooms and Asian restaurant. Check out Le Bistro for a fresh take on classic French specialties. Gather a bunch of friends for a rousing Italian dinner at La Cucina. Or enjoy the perfect steak and your favorite cocktail at Cagney’s. Still hungry after all of that? Room service* is available around the clock including 24/7 pizza delivery! *An extra charge may apply according to the cruise line policy. Sip, Watch, Enjoy. Jewel was built for entertainment, starting with our massive two-story theater and continuing in the fascinating lounges throughout the ship, including Spinnaker, with wrap-around views of the sea. Enjoy a freshly muddled drink at Sugarcane Mojito Bar, or be a winner in the inviting Casino. We’ll present fresh up-and-coming acts in the colorful FYZZ Lounge. Or just settle in for a drink in one of our other inviting bars throughout the ship. The Finest Staterooms at Sea. Jewel’s large and comfortable staterooms all sparkle with a fresh modern look, finished in rich cherry wood. Over 70% feature private balconies with floor to-ceiling windows. Thirty-six Haven suites, and an entire deck of mini-suites offer the ultimate in luxury, including private concierge service to handle your every need. Every room is state-of-the-art with coffee makers, color televisions, comfortable duvets, and larger bathrooms than other ships. Room service is available 24 hours a day. And of course, you’ll find a friendly greeting in the morning, ice buckets filled in the afternoon, fresh towels twice a day, and a turned down bed to come home to after a long night. For the ultimate indulgence, the Haven’s Villas and Penthouses offer elaborate rooms, a private pool and sundeck, butler service, and a host of other exclusive amenities. There’s even a one-of-a-kind 3-bedroom Garden Villa offering the largest suite at sea! This Adventure has no Adds on. Overnights in Shanghai & Taipei. After our first relaxing day at sea, your journey begins with a full day and night in the capital city of Taipei, rich in history and filled with temptations from tantalizing street food to mountainside hot springs. Visit an ornate dragon-adorned temple or soar up to the top of Taipei 101 before heading out to explore the city’s seriously fun and diverse gay nightlife during our overnight stay. Three Magical Japanese Cities. From the bustle of Shanghai, we’ll sail to the serenely beautiful city of Kochi, our first stop in Japan where clear rivers meet green forests in a region known for its abundant natural beauty. 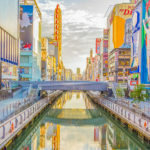 Our next day in Osaka offers plenty of time to explore Japan’s third largest city as well as tours to the legendary temples and awe-inspiring history of Kyoto. 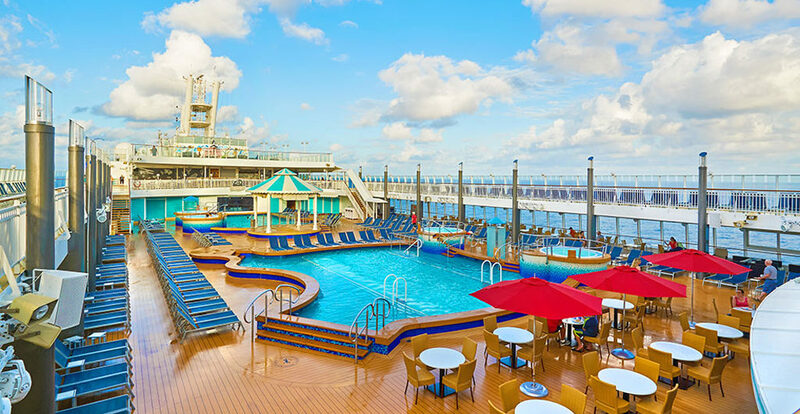 Endless Wonders Onboard. You’ll marvel at stellar entertainers from around the world including our own unique gay circus show, Broadway singers, world-famous drag performers, and so much more. We’ll even invite a special guest or two from Broadway, TV, or beyond. Past years have featured Patti LuPone, Idina Menzel, Kathy Griffin, Jennifer Hudson, Chita Rivera, Deborah Cox, and so many others. And that’s just the beginning with a ship packed with performances by Atlantis comedians, cabaret stars, drag performers, piano bar entertainers, and other original shows. There’s nothing like it on any continent! Celebrate Together. There’s no better way to celebrate the joy of our community together than on a dance floor. Imagine dancing under the stars to our diverse and spectacular parties in one of the best settings we’ve ever had for a party. All featuring concert sound, awesome lighting, dazzling lasers, mesmerizing video, and the friendliest crowd yet. The world’s top gay DJs headline our signature themes and wide-ranging musical styles. In addition to our legendary theme nights, you’ll find musical tributes to Classic Disco, 80s retro, great divas from the 90s, and plenty of surprises. Regardless of your taste in music, or temperament for a party, we’ll find a way to get you out on the dance floor. 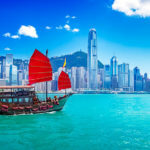 Soaring skyscrapers rise from the legendary Hong Kong harbor, blending geography and nature with breathtaking architecture in a way that brings traditional Chinese and Western culture into perfect harmony. Watch sampans and junks glide through the waters of Aberdeen. Soak in the spectacular view of the world-famous Victoria Harbor from the top of Victoria Peak. Treat your palate to tantalizing flavors, from street food to fine dining, in one of Asia’s most fascinating cities. With a friendly and welcoming culture, it’s the perfect place to start. There’s nothing ordinary about a day at sea! Options abound, from sophisticated to silly. 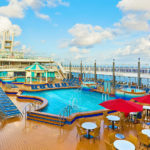 Take in an informative lecture about our fascinating ports, indulge in a leisurely brunch with friends, join a game of volleyball, or drag yourself to the most outrageous bingo at sea hosted by our talented queens. Just save some energy for Atlantis’ signature sunset T-dance and fabulous night of non-stop entertainment and fun. That’s a full day to play! The modern metropolis and capital city of Taiwan harmoniously blends elements of Japanese, Chinese and Southeast Asian cultures. It’s futuristic cityscape is dotted with tranquil parks and green spaces. Some of the world’s best food can be found on every corner from the classic tea houses to lively night markets. Taiwan is the first Asian country to legalize Gay marriage, giving our community a real voice and presence. With our overnight stay you’ll have plenty of time to explore Taipei’s thriving and welcoming gay nightlife. Look for more details onboard! Continue your second day in Taipei with a visit to one of the legendary hillside hot springs, or take ride to the top of the tallest building in the country for a birds-eye view of this fascinating city. Some cities are constantly changing, but none at the rapid and breathtaking pace of Shanghai – one of the world’s most alluring and charming cities. Below the towering skyscrapers, you’ll find quiet, tree-lined streets, the Bund’s majestic colonial buildings, sweet boutiques, and a dizzying array of places to eat and drink, from tiny family run places to celebrity chef restaurants. Old City Shanghai is a maze of streets with small shops, restaurants, and street vendors. And no visit is complete without endless shopping and eating down Nanjing Road. Gay life in Shanghai is the best in China, with an array of bars, nightclubs, and restaurants to welcome you for the overnight stay. We’re working closely with the local community to create a true once-in-a-lifetime experience for this amazing visit. Continue your visit in Shanghai to explore the magical contrasts of the city. It is home to some of the world’s tallest skyscrapers, miles of luxury shops, and scores of trendy bars and restaurants. But look just beyond the main streets and you’ll find narrow alleyways packed with traditional lane houses, where laundry billows from bamboo poles, and local communities are alive and well. After so much exploring, you’ll be ready to relax and enjoy all the Jewel has to offer. Wake up late and join in a yoga or spin class, relax in one of the outdoor hot tubs, take in a lecture on the wonders of Japan coming up. And of course, you’ll be surrounded by non-stop activities from the legendary pool games to another drag bingo and more! We arrive into Japan to Kochi on the southern coast of Shikoku. It’s a small and friendly city blessed with beautiful and abundant nature. Explore a 500-year-old castle, take in the classic history of the region, and marvel at the serene mountains and perfect Pacific beaches. The Hirome market bustles with artisanal local delicacies and charming shops. 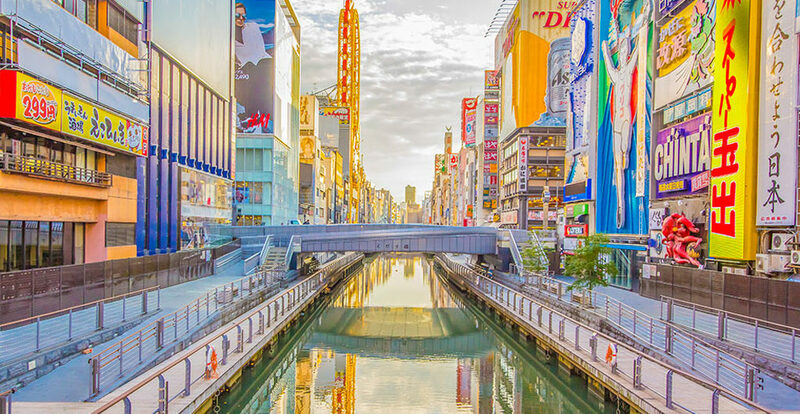 Japan’s third largest city is best known as the gateway to Kyoto but on its own Osaka is filled with fantastic street food, superb shopping and raucous nightlife. Its main historic landmark is the 16th century Osaka Castle surrounded by a moat and many flowering trees. A short bullet train ride will bring you to magical Kyoto, famous for numerous Buddhist temples, gardens, imperial Shinto shrines and traditional wooden houses. Options abound, and our extended stay lets you see the best of both of these fascinating cities. A mesmerizing landscape, revered cultural history, and Japan’s most sacred volcano are just a few of the many delights beckoning upon arrival into this ancient city. Towering over the region at approximately 12,388 feet above sea level, the snow-caped Mount Fuji, an active volcano, has been designated a “place and source of artistic inspiration” by UNESCO and is just one of the many unforgettable adventures Shimizu inspires. Contemporary Tokyo may be the most astonishing city on earth. It’s a paradoxical mix of ancient tradition and postmodern culture. There are so many interesting things about Tokyo it is not possible to list them here. We know you will want to plan to extend your stay and we will offer a variety of post-cruise packages, available in early September. 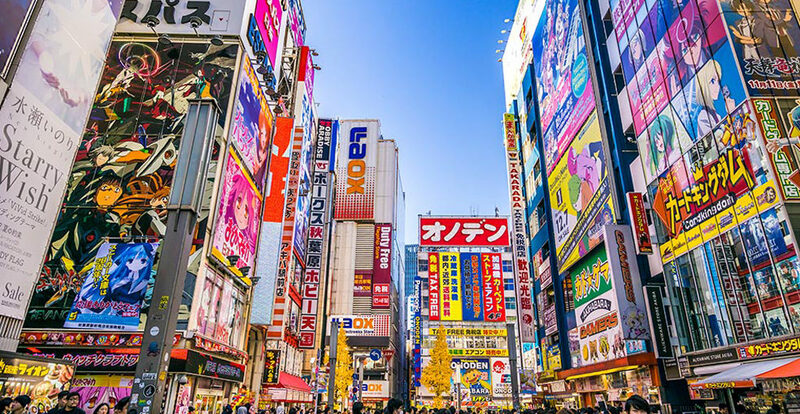 Tokyo is the place for virtually unlimited shopping, where new fashion trends seem to spring, and a foodie’s delight, from incredible street food to some of the world’s most acclaimed restaurants. 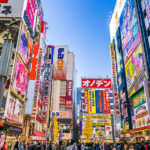 While Tokyo’s neon-lit streets make it seem modernistic, it also prides itself on celebrating its rich Japanese culture where you may want to experience a sumo tournament or a traditional kabuki production. We returns to Asia with the perfect mix of exotic destinations and sensational entertainment. All designed for the most diverse group ever assembled on a gay cruise. Best of all, fares for this once-in-a-lifetime experience start at just $1599 for ten magical nights. 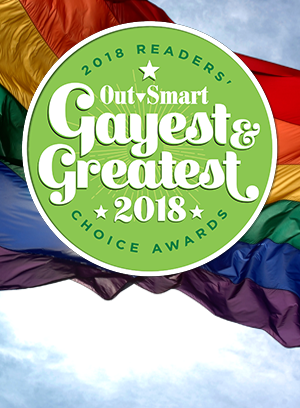 It’s one of the best values in travel – gay or otherwise – and designed to let everyone join us on the biggest adventure of 2019!